Film-Arcade.net: Official Trailer for the Upcoming Action Film "Kite"
Official Trailer for the Upcoming Action Film "Kite"
Anchor Bay Entertainment recently released stills for their upcoming release of live action remake of controversial Japanese Anime series "Kite". The film stars Samuel L. Jackson (Robocop, Captain America: The Winter Solider) India Eisley (Underworld: Awakening) and Callan McAuliffe (I Am Number Four). 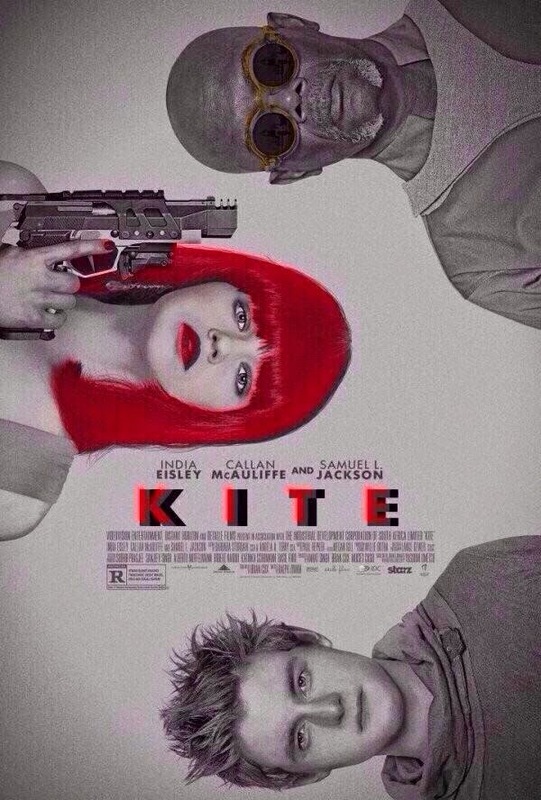 "Kite" is currently available on Direct TV and hits VOD providers and theaters in limited release on October 10th. Sawa (India Eisley) is a young orphaned girl trying to find her away in a city overflowing with corruption, drugs and human trafficking. With the help of her father’s ex-partner, Karl Aker (Samuel L. Jackson), she tracks down her dad’s assassins. As the bodies pile up in her wake, it becomes harder and harder for Karl to cover up Sawa’s crusade. She is slowly attracting the attention of not only several other criminals, but also that of Oburi (Callon McAuliffe), who knows more about her past than she thinks.